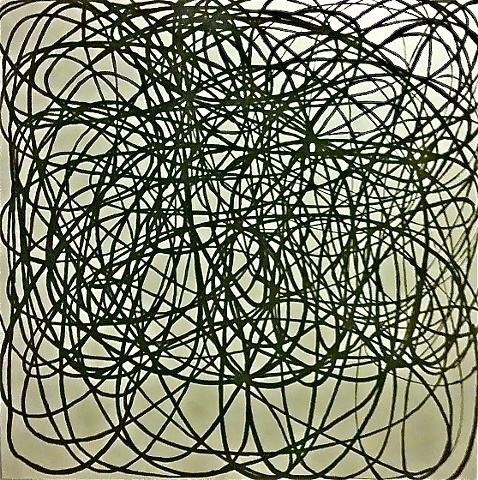 This piece is a drawing using one single unbroken line. I went back and painted that line following the path of the original line. The background here is iridescent pearl.